Paper can comprise from 30% to 60% of the cost of a print job, so specifying the right paper is extremely important. The paper selected plays a major role in the final appearance, and success, of a project. In order to correctly specify paper, you need to know the language of paper grades and weights. Grades such as bond and writing are just as important today as they were 20 years ago. Although the demand for some grades lessens, such as tag, it is still important to know all the grades. Understanding the important distinctions between the various grades of paper will help you design more effective items for your customers. I’ve simplified the process by outlining three things you need to know about specifying paper. In order to talk about grades, it is helpful to know how paper is made. Trees grown for paper are a renewable crop, like wheat that is grown for breakfast cereal. Furthermore, paper is 100% recyclable, compostable, and biodegradable. Paper starts with pulp. Pulp can come from different sources, such as trees, fibers like hemp or cotton, or recycled paper. There are different processes for making pulp. Some are mechanical, some chemical, and each has its strengths. Pulp can be bleached, brightened, or colored or have additives mixed in to enhance the surface characteristics of the paper. Additives to the pulp may increase opacity or increase ink holdout (helps the ink not soak in so the image stays sharp), depending on the use of the paper and desired characteristics. After everything has been mixed in, the pulp has a liquid, mushy texture. It is then poured onto a wire mesh (the wire) where it settles and spreads before going on a conveyor belt in a long thin ribbon where it is squeezed between rollers to remove all the water still in the paper. Once the water is removed, the pulp goes between big drying drums to dry it out completely. After drying, the paper is calendered, a process that smooths the surface of the paper by pressing it between cylinders or rollers. You can think of calendering like a pasta machine that gradually presses the surface of the paper to make it smooth. Super-calendered paper goes through an extra calendering process to make it exceptionally smooth. After all these steps, the paper is wound onto giant rolls. Coating is an extra step that lays a coating on the paper that can whiten, brighten, and smooth out the surface. Coated paper is a direct response to the demand for color printing because it provides superior color reproduction, detail, and consistency. Coating can be one-sided, C1s, (pronounced Cee One Ess), or two-sided, C2s. Cast Coat is a super shiny coating made by polishing coated paper. 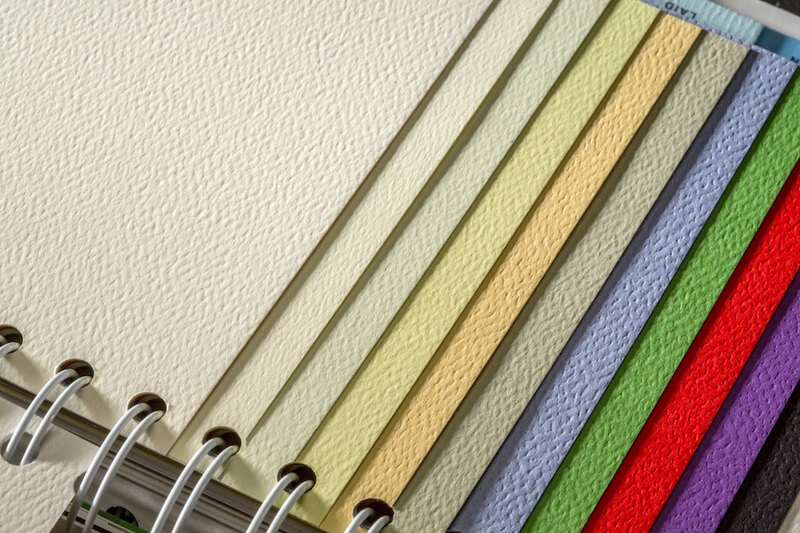 Coated papers can be gloss, matte, velvet, dull, or somewhere in between. There are more terms now than ever before, and none reflects an absolute. Gloss is glossy, and dull is dull with matte and velvet falling somewhere in between. 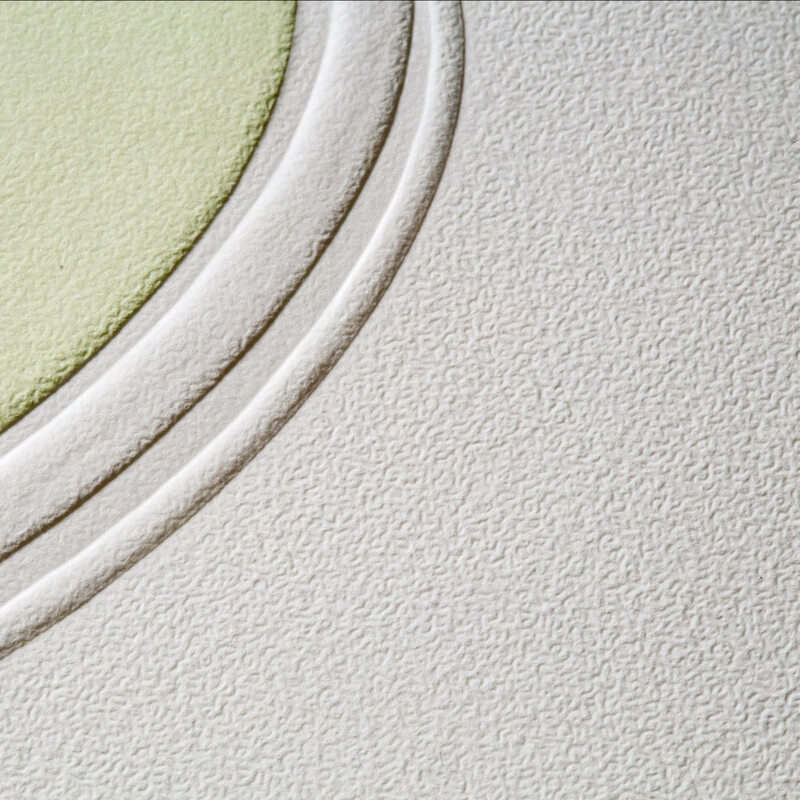 Embossing is a process that presses a pattern into the paper. Common patterns are linen and stipple. 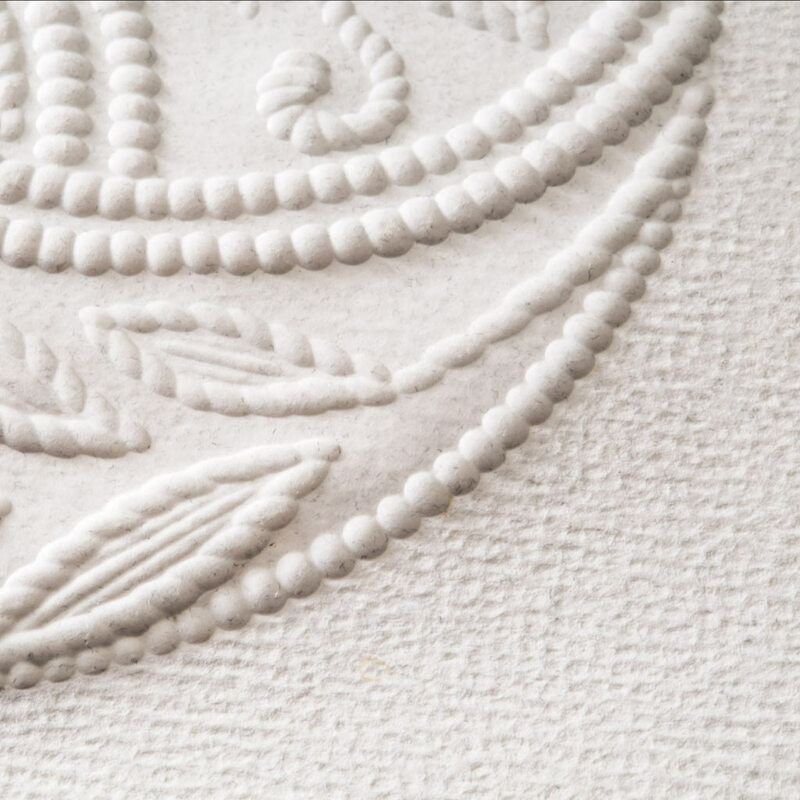 When a paper texture is produced by embossing, it enhances ink holdout. That means the ink doesn’t absorb into the paper as much and looks crisper. This photo shows different colors of linen paper. Note the distinct fabric-like texture. Because of its embossed surface, linen papers have superior ink holdout. This is stipple finish with a blind emboss and a register emboss to the green ink in the upper left-hand corner. Note that the stipple finish is not “ironed out” by the embossing. This is because the stipple texture is already embossed into the paper when it is made. Watermarks are created during paper manufacturing. Watermarks are visible when held up to the light. Although they often are a symbol of the paper manufacturer, they can also be a company’s logo. Custom watermarks used to be enormously expensive. Nowadays, reasonably priced custom watermarks can be made with a chemical technique. Some consider this a “fake” watermark, but it really achieves the same look as a “real” watermark. A Neenah Paper watermark in a writing weight paper. Other factors that affect texture occur in the manufacturing process rather than the finishing process. 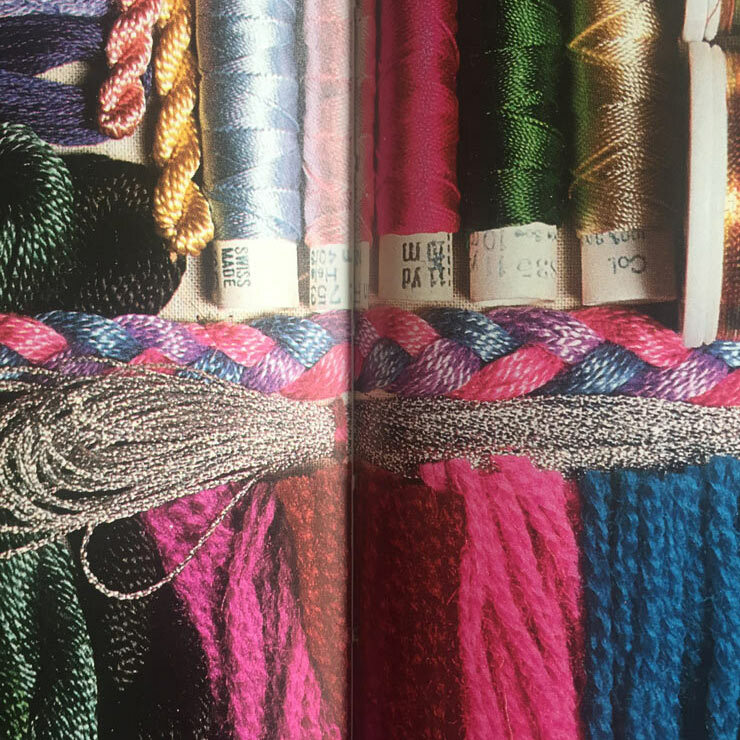 For example, laid paper (paper with a ribbed texture) achieves its distinctive pattern, particularly apparent when held up to the light, by the pattern on the wire on which the pulp is placed. All papers have a wire side and a felt side resulting in two distinct sides that are not exactly the same. Some papers are made on a two-wire machine that mitigates, but does not entirely eliminate, this effect. Adjustments are needed on press to allow for the two different sides of the paper. 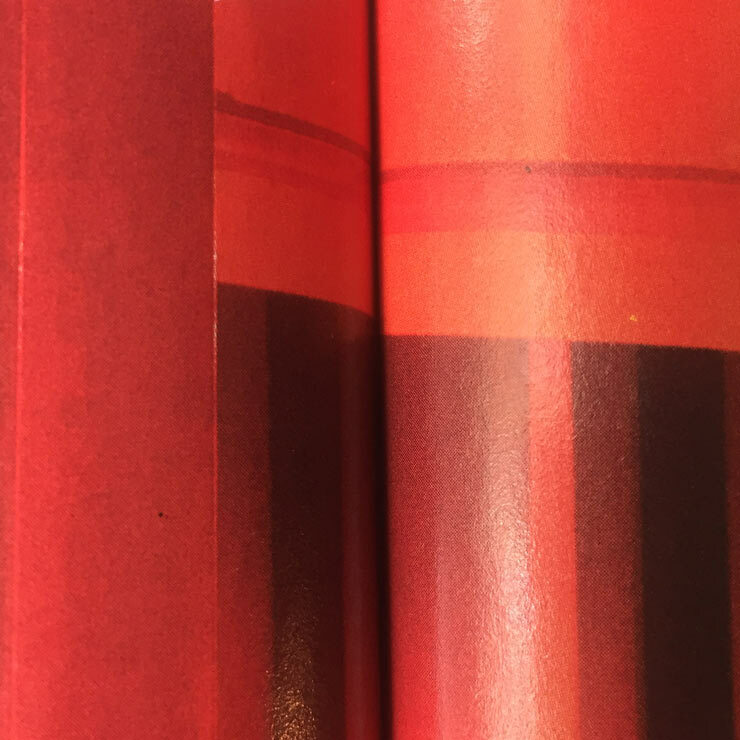 For this reason, it can be very challenging to print a large solid color on both sides of a sheet of paper and get the colors to match if the paper is uncoated and not a two-wire made sheet. been a traditional finish available in many writing suites. and pressure of the embossing die can “iron out” the laid texture of the paper. Laid texture is not embossed into the paper such as linen. Laid texture is an impression of the wire on which the paper is made. When paper is made, the fibers line up in one direction, which is the grain. If you think of a piece of wood, which is easier to split with the grain, or parallel to the grain, the same is true of paper. When paper is folded with the grain, the fold is smoother. When paper is folded against the grain, depending on the type of paper and type of fold, the fold can appear torn, cracked, and uneven. Grain affects the appearance and is an important part of the printing process. Paper stretches as it goes through a press. In order to minimize that stretch, printers want the paper grain to be parallel to the rollers of the press. When working on a project that includes folds that are 90 degrees to one another, one fold will be with the grain, and the other will be against the grain. A road map, for example, has folds going with and against the grain. with the grain (top sheet) and against the grain (bottom sheet). Now that you know how paper is made, we are ready to talk about paper grades. I am going to give you my version of paper grade classifications because there are very slight deviations from the old school classifications that correspond with how printers order paper. Learning about paper grades this way will make it easier for you to converse with your printer. Bond/writing is very receptive to ink and pencil. For that reason, it is used for stationery and letterheads. Rag bond is made from cotton and is more durable. This makes it ideal for items that are going to be around a long time such as diplomas or folded and refolded and refolded, such as letters. Bond is often watermarked. Writing refers to the lightweight sheets of a suite of matching papers, including text and cover weight papers, and bond refers to the same type of paper but does not have any matching text or cover weights. For example, Neenah Paper, a paper company, offers Atlas Bond, which is not available in text or cover. Neenah also offers Classic Crest Writing, which is available in text and cover weights. A few bond papers are available with a matching cover weight, but in general, if the paper has matching text and cover weights, it is referred to as writing. 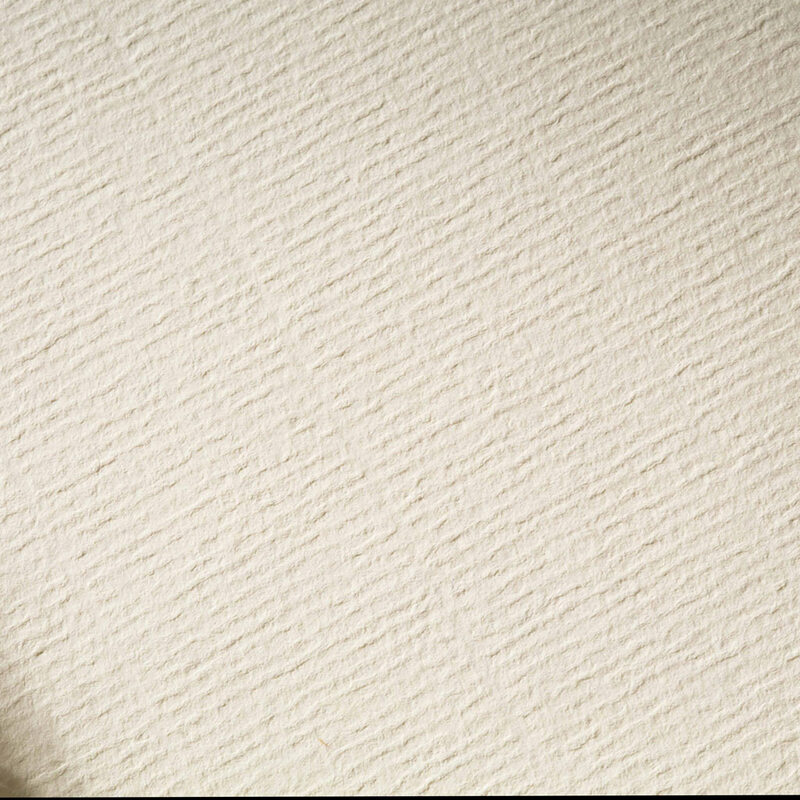 The characteristic finish of felt paper. 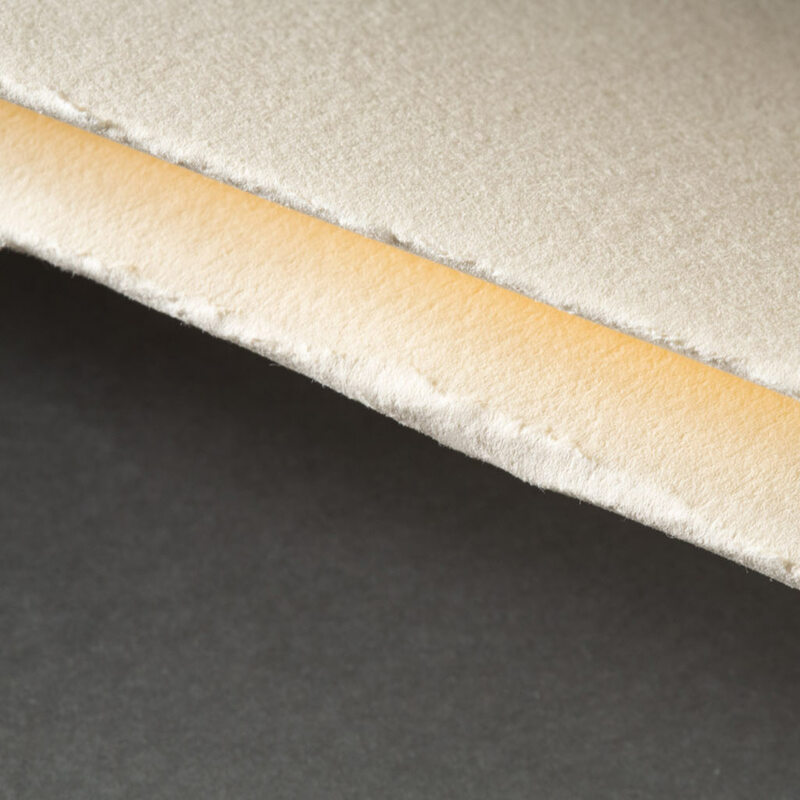 Felt paper has long been a traditional finish available in text and cover. Coated papers are available in gloss, ultra gloss, dull, matte, etc. Coated papers offer high-resolution reproduction in offset printing. Although they are graded by their brightness, most coated papers exceed their grade range in brightness. This is so that a Number Two can have the brightness of a Number One. The grades, in descending order of quality, are as follows: Premium, Number One, Number Two, Number Three, Number Four and Number Five. The grade directly relates to the cost, so a Premium sheet costs more than a Number One which costs more than a Number Two and so forth. Sometimes a paper rep will tell you that a paper is a Number One priced as a Number Two. In my experience, this is when a characteristic such as opacity or snap has been lessened for a gain in brightness. Generally, you get what you pay for in paper. 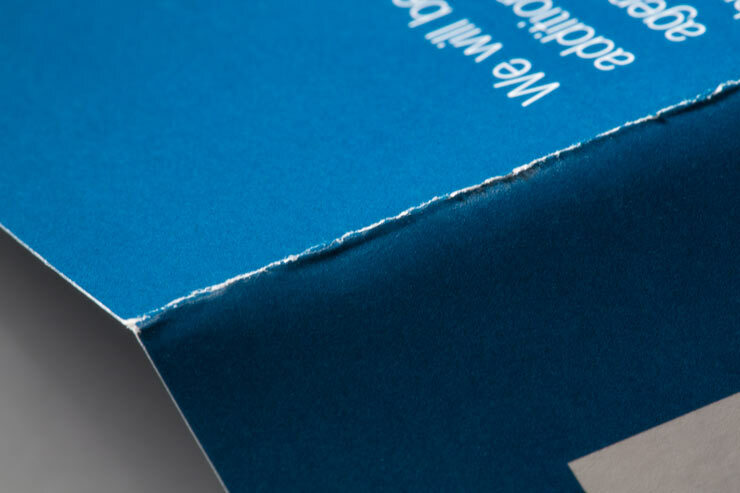 Most Premium coated papers are acid-free/archival and will not yellow as much as a non-acid-free paper. Coated paper that is text weight used to be referred to as book; now it is called text. Within coated paper are the C1s, C2s, and cast-coated subgrades referred to as board grade. These papers are often used in packaging and come in a wider variety of thicknesses for that purpose. Board grades also include C1s papers that are more foldable, are bulkier, or have other characteristics specific to packaging. Cast coated papers also fall under the board category. This category encompasses text and cover weight papers, sometimes matching, that are not in the “fine papers” text and cover category. It includes offset, opaque, postcard or reply card, and newsprint categories. Recent additions to this category are matching cover weights to the opaques. This category is the heart of everyday office and publication papers. The paper used for items like instruction booklets and direct mail notices is Offset paper. It runs well on press and is inexpensive. Offset is not available in cover weight. Opaques refer to papers with less show-through. They generally have a better quality finish than offset. Both offsets and opaques are normally available in a wide variety of weights for various bulk requirements and are commonly used for books and textbooks. Typical finishes are smooth and vellum. These papers are available in white and sometimes cream and ivory. 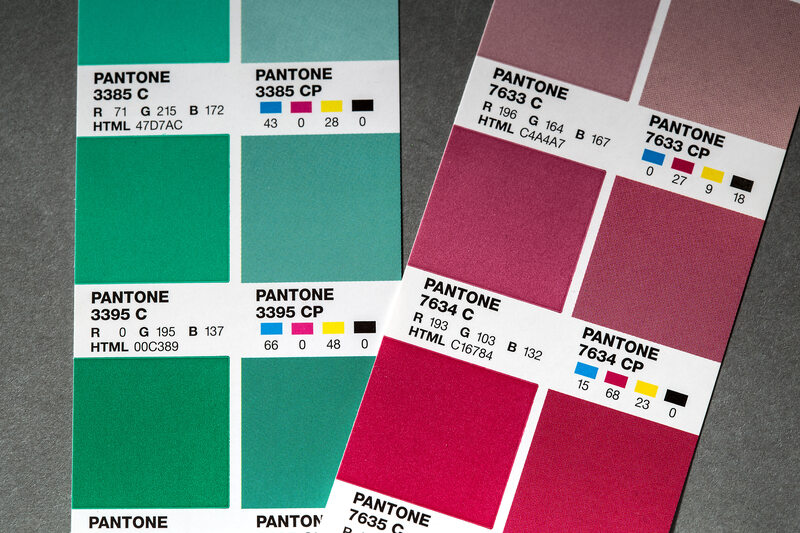 The standard office colors of goldenrod, blue, green, canary, cherry, etc., are available in opaques and offset. Postcard or reply card is an inexpensive white paper that calipers to 7pt. thickness, which is the minimum mailable thickness for a postcard sent through the U.S. Postal Service. Newsprint is an inexpensive paper that is only available in three text weights and generally one color, newsprint. 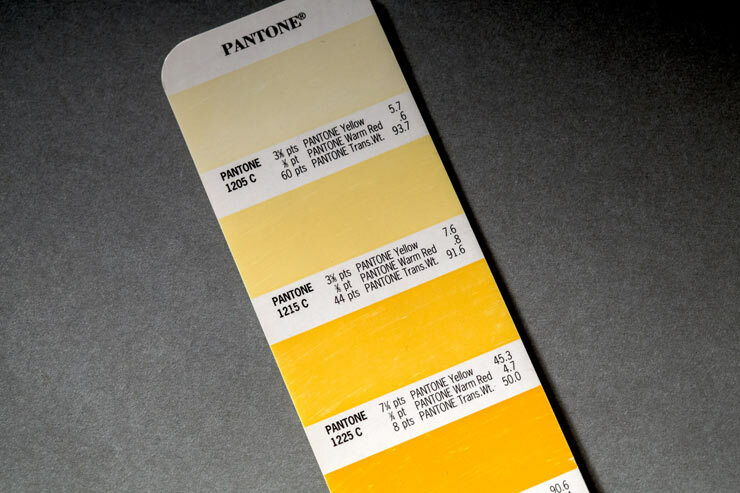 Newsprint color varies from one manufacturer to another. This category is a catchall for all the sturdy, but not necessarily pretty, papers. Index is perfect for writing on with a pen and is often used for cards that need to be filled out because in addition to being cover weight, it is also a very stiff paper. Library cards, for those who remember them, were probably made of index paper. Index is generally available in smooth, vellum, and the standard “office colors.” Bristol is a little softer than index or tag and folds better than both. It is available in cover weights in “office colors.” Tag is strong and very receptive to ink. It is available in white and manila in various cover weights. Board includes chipboard which is typically the bottom piece of paper on a scratch pad. It can be chip colored, (a grayish, brownish color that varies with each lot due to the characteristics of the recycled material that goes into it) on both sides or coated one side,C1S, and comes in a multitude of weights. Carbonless paper used to have its own category but, with desktop printers and digital document delivery, the use of carbonless paper has dropped tremendously. Suffice it to say that carbonless comes in multiple “parts,” such as two part, three-part, four-part, etc., and those parts can come in different colors in whatever order you need. 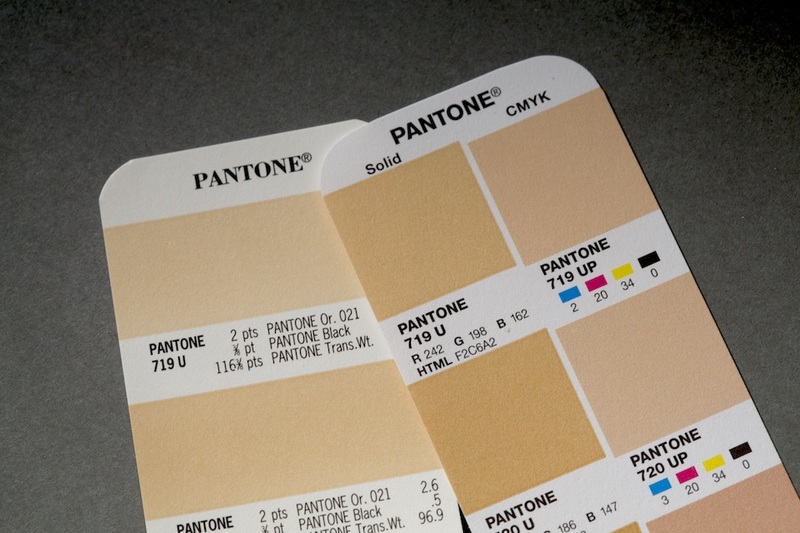 The standard sequence for three part is white-canary-pink, for example, but if you wanted a form to be white-green-goldenrod, your printer can do that too. Neenah Paper, Astrobright, color: Stardust White. This is a relatively new group of papers that are used in various digital devices. Digital printing methods vary widely, and each substrate (the base material onto which images will be printed) needs to be tested as to its receptivity to the ink/toner/wet toner, etc., and also to the wear and tear the paper can inflict on the digital printing device. Large-format digital machines require special papers that are approved and profiled for each digital device. They are available coated or uncoated, roll, or sheet-fed, and as text or cover. They are mostly white except for “copy paper,” which comes in the “office colors.” These papers are certified to run on various presses. That does not mean you cannot specify a non-certified sheet, but you may be disappointed in either the reproduction quality or your printer saying “no” because of the wear and tear it causes to the digital press. Find more information about digital printing here. Although envelopes are not really a “grade,” I am including them here because they are made from specific papers. Every writing paper has a matching #10 envelope. That is part of what makes it a writing-grade paper. Basic commercial envelopes are 24# white wove. Wove is smooth. Larger envelopes are 28# because the paper needs to be stronger to hold more weight. A 10 in. x 13 in. catalog envelope is an example. With the exception of the writing envelopes in the #10 size, nearly all envelopes are white or manila in regularly stocked sizes. Design a pink 10 x 13 envelope and prepare your client for some sticker shock, read more about designing custom envelopes here. For more information about designing for standard 0ff-the-shelf envelopes go here. The paper finish refers to the appearance and texture of the surface of the paper. The following chart summarizes which finishes can be found in each grade. 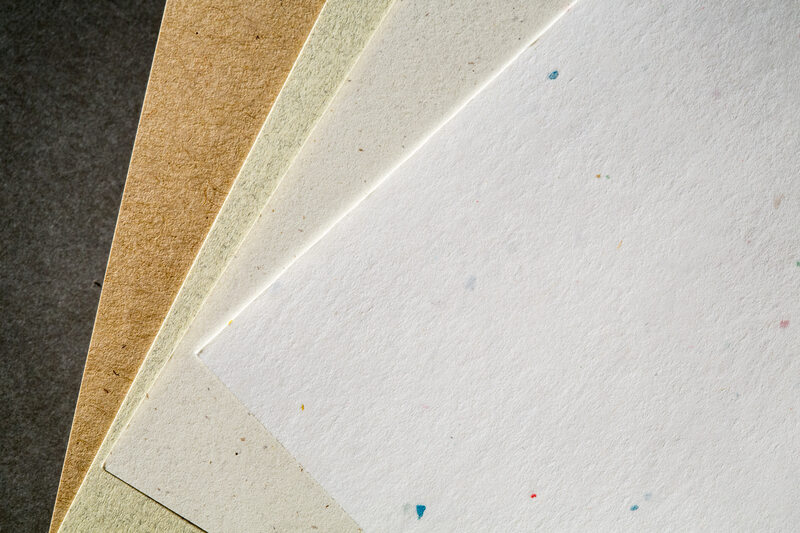 Here are some well known paper specs that might be new to you. If you are new to designing, knowing what these basic papers are called might help you out. I hope this helps demistify the specifying process. If you have a question I haven’t answered, please comment below, I would love to hear what you are interested in and I bet other readers would too! What to know before designing and printing them. Get the sample chapter now.